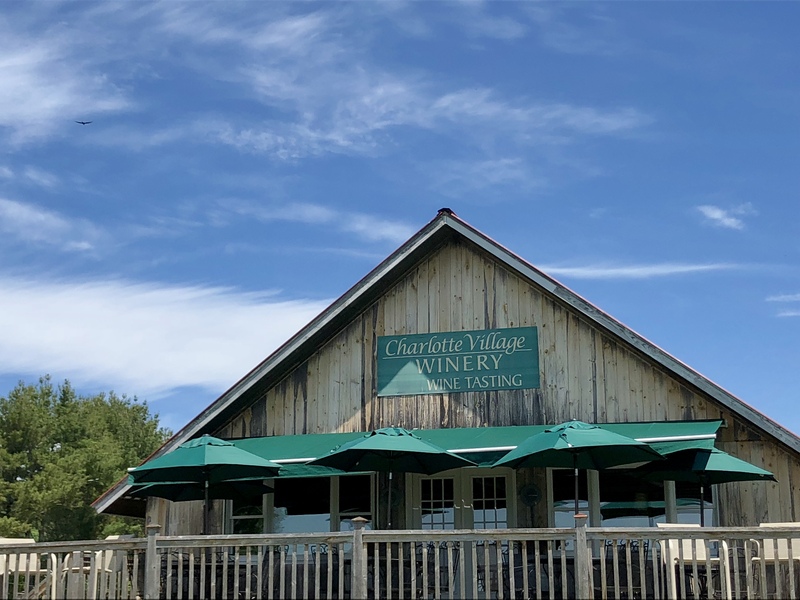 Charlotte Village Winery was founded in 2001 by fourth generation Vermonters, William & Colleen Pelkey, and their son Will Pelkey. We started to produce blueberry wines with the blueberries from our 10 acre field in 2001. Our winery was completed in 2004, and we began producing several different types of wines. Charlotte Village Winery opened its doors to the public in July of 2005. We have wine tasting of all of our fruit and grape wines seven days a week from 11:00AM to 5:00PM. We are located in Charlotte, Vermont at 3968 Greenbush Road, approximately 15 miles south of Burlington. To contact us, call 802-425-4599 or see the map below. We'd love to hear from you! Be sure to come for a wine tasting so you can select the wines that satisfy your palate while overlooking our blueberry fields and enjoying the views of the Adirondack mountains from our tasting deck. We have plenty of local wine to choose from, so you'll be sure to find something that you love. Charlotte Village Winery, in Vermont’s Champlain Valley, is a unique boutique winery. Our winery features both fruit and grape wines. The fruit wines are made from fresh Vermont fruits. Our selections include a Strawberry Reisling Wine, Raspberry Wine, a Peach Chardonnay Wine and three styles of Blueberry Wine. The grape wines include Merlot Wine, Cabernet Sauvignon Wine, and Pinot Grigio Wine. All wines are handmade here in Vermont. If you're in Vermont, you're not too far from Charlotte Village Winery! If you're looking for a friendly wine experience or just a Vermont day trip, come and see us today. We have plenty of local wine, both chilled for you to sip on our patio, and bottles and cases ready to take home for dinner or gifts. Plan your visit today!